Champaign County Economic Development Corporation | Congratulations to EDC stakeholder, Dwight Miller, Entrepreneur of the Year! Congratulations to EDC stakeholder, Dwight Miller, Entrepreneur of the Year! CHAMPAIGN — Local McDonald’s franchisee Dwight Miller was hailed as a high-energy, goal-oriented businessman in being named Parkland College Foundation’s Entrepreneur of the Year. About 250 people turned out Wednesday to honor Miller — whose company operates 10 area McDonald’s restaurants — at a banquet at the I Hotel and Conference Center in Champaign. Master of ceremonies Greg Cozad said Miller came from humble beginnings and showed great initiative in taking risks building a business. Irving said when Miller told colleagues years ago that he was leaving his accounting job to work for McDonald’s, they laughed. “You’re going to flip hamburgers? Dwight, you’re a professional,” they told him. But Miller knew what he wanted — to learn the McDonald’s system — and later, to own his own business. Irving said Miller believes in “continuous improvement” and spends time studying what his next move will be. 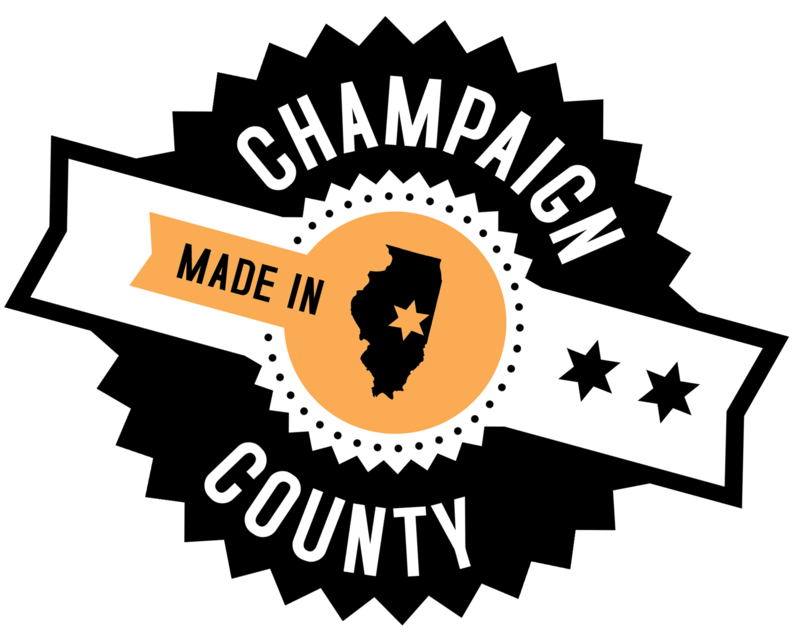 Miller has had the Champaign franchise for 12 years, and spent 18 months as chairman of the Champaign County Chamber of Commerce. Miller accepts no excuses, is interested in personal accountability and sets high standards for the youth who work for him, she said. Monica Boyles, general manager for McDonald’s USA’s Greater Chicago Region, said Miller’s method is to get everybody involved. “He’s all about inclusion. He wants to hear what everybody in the room has to say,” Boyles said. In a video, local attorney David Sholem described Miller as “high-energy … one of the most A++ personalities” he’s known. He said the company helps its franchisees succeed. Miller’s wife, Alice, who works in the franchise operation, DASH Management, described her husband’s determination. “There’s nothing that comes his way that will stop him,” she said. “He is the rock of our family — not only to us” but also to his broader family, she added. Dwight Miller, in turn, described Alice as a “workaholic” and credited her with doing most of the work. “What drives me is my wife and kids,” he said. The Millers’ son, Scott, today has the franchise for the McDonald’s at Duncan Road and Kirby Avenue in Champaign, and their daughter, Heather Bennett, works for McDonald’s Corp. in the Chicago area. Miller praised his mother, Ruby, for insisting that all four of her sons go to college. And he said he wished his dad, who died about 20 years ago, were there to see him honored. Miller said his dad “really wanted to be an entrepreneur,” but in those days it was difficult for African-Americans to build a business. “Dad, this one’s for you,” Miller said in accepting the award.